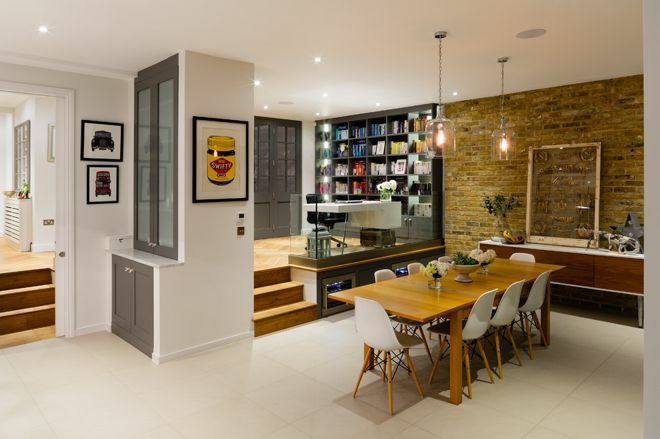 Divide an open-plan area without blocking the precious light using gorgeous glass dividers. 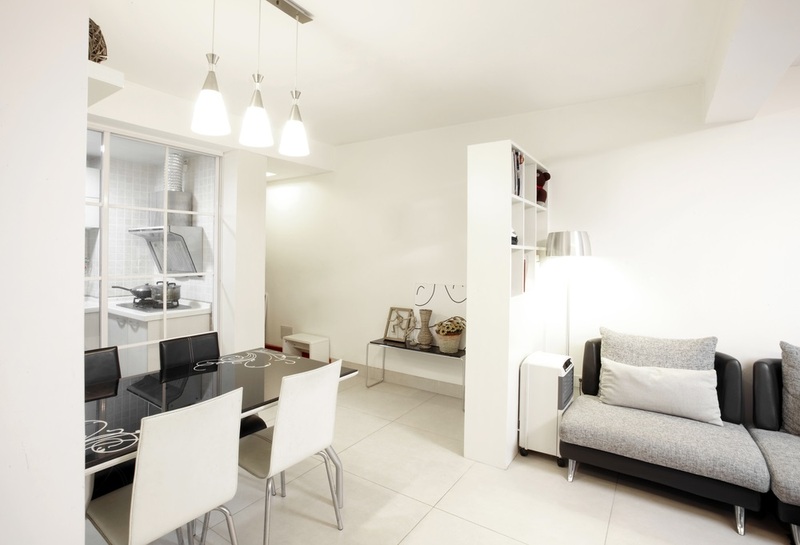 There are a number of reasons why we embraced the open-plan format tightly with our two arms. For one, this layout makes our homes feel more laid-back. Second, open-plan interiors are easier to keep at a comfortable temperature. The lack of walls allows natural lighting and ventilation. Unfortunately, the absence of walls makes zoning difficult. Here’s where glass partitions come in. Glass dividers break up an open-plan space without blocking light and without compromising the wide open space. 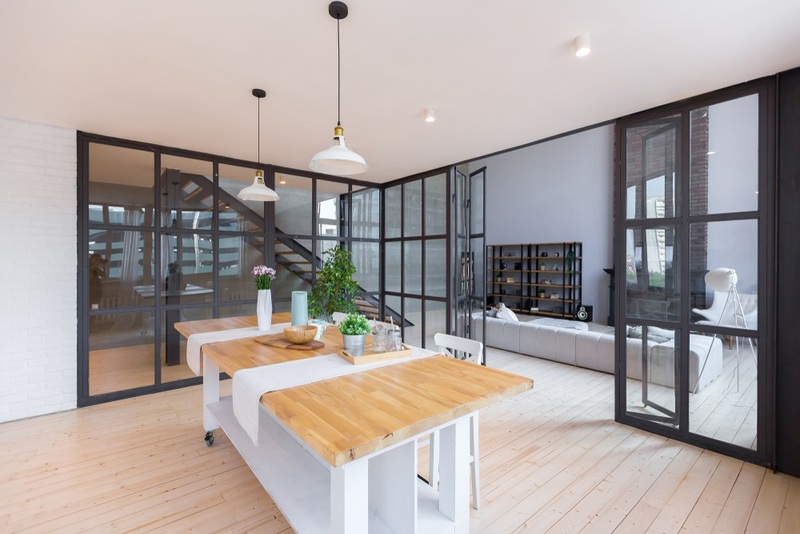 A glass partition is a clear way to separate the cooking and the relaxing areas. Here, a framed glass wall separates the eat-in kitchen from the bedroom. 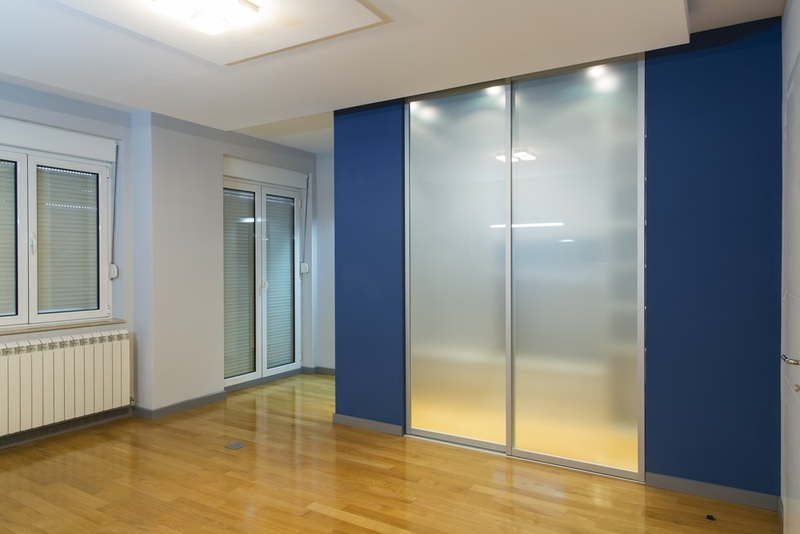 As you can see, the glass partition established the distinction between two areas without compromising the open feel. The lovely daylight still flows throughout the space. Extra tip: Notice how the colours, material palette, LED accent lighting, flooring, and partition framing style pulled the interiors together as one. 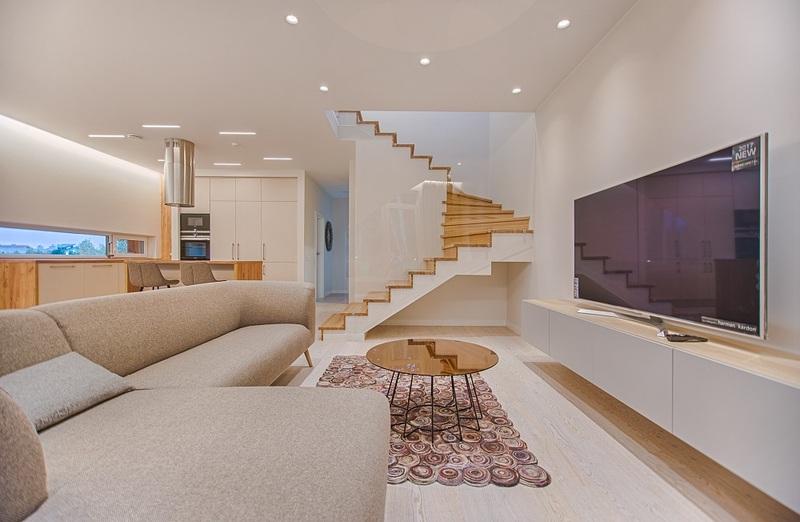 Zoning an open-plan space doesn’t mean you should sacrifice the unified look. 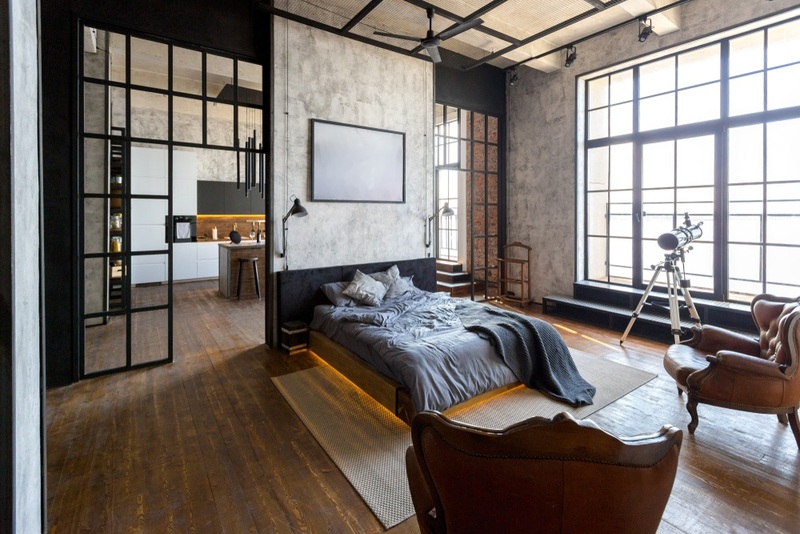 When you have a large and spacious room, consider this design idea. Here, floor-to-ceiling framed glazed walls closed off one corner and created a room. Glass doors with similar framing is your way in and out of the area. 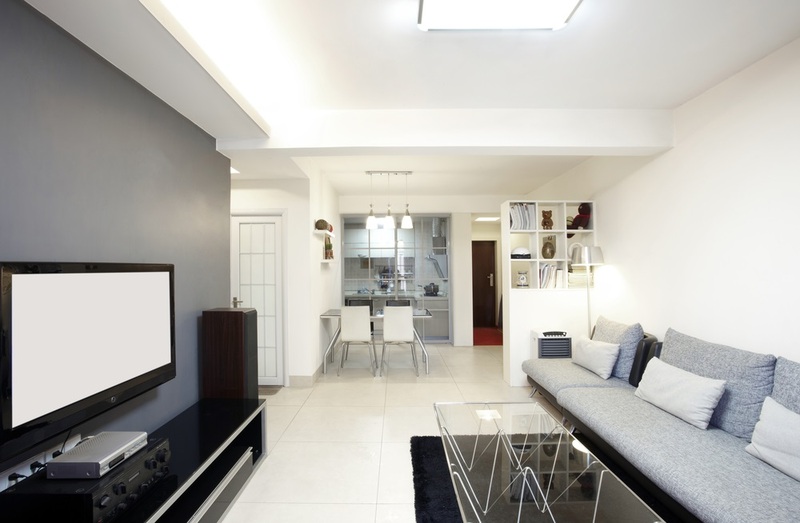 Dividing an open-plan space this way lets you use the space for multiple activities. Glass is acoustically reflective. One can do noisy kitchen work without getting distracted by the TV’s volume. As you can see, the interiors remain open. Extra tip: Large windows like the ones you see here are architectural features you must celebrate and be proud of. Do away with window treatments when privacy isn’t an issue. When it is, use a combination of drapes and sheer curtains but don’t cover all of the glass. Extra tip: When you opt for casual interiors, go for low furniture. A stuffy sofa bed like the one below is a perfect accomplice in every movie night. Pair it with other low furniture pieces to create a cool, cozy, and modern lounge. Also, low furniture pieces won’t block your window views. Buy pieces that aren’t higher than your window sill. 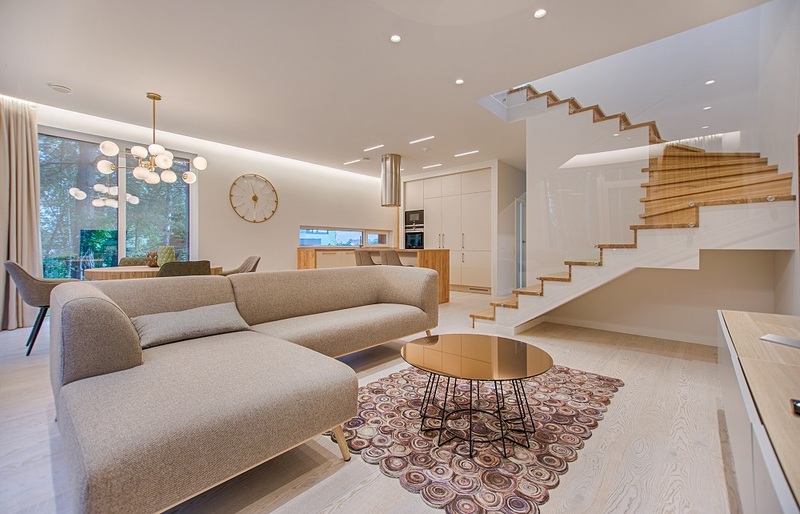 A flight of stairs in an open-plan room like this is a striking feature. Make it safer without ruining its architectural value using clear glass railings. This way, you won’t obstruct the view of the cantilevered steps from the living room. The railings, despite being invisible, separate the stairs from the living area. The material serves as a boundary between the two areas. Extra tip: Notice how the L-shaped couch to divided the area and separated the kitchen and dining area from the living room. Turned to the opposite direction, a person watching TV or sitting on the sofa won’t see the area behind him/her. Also, look for decorative or tactile rugs to lay on the floor. Rugs help define spaces. Apart from the varying floor heights, a belly-high glass divider separates the home office from the dining area. The clear glass is an invisible railing which won’t block the view of the office from the dining area. At the same time, it won’t close off the office and make it look small or cramped. This sunken dining room courtesy of the London designers of granit.co.uk. 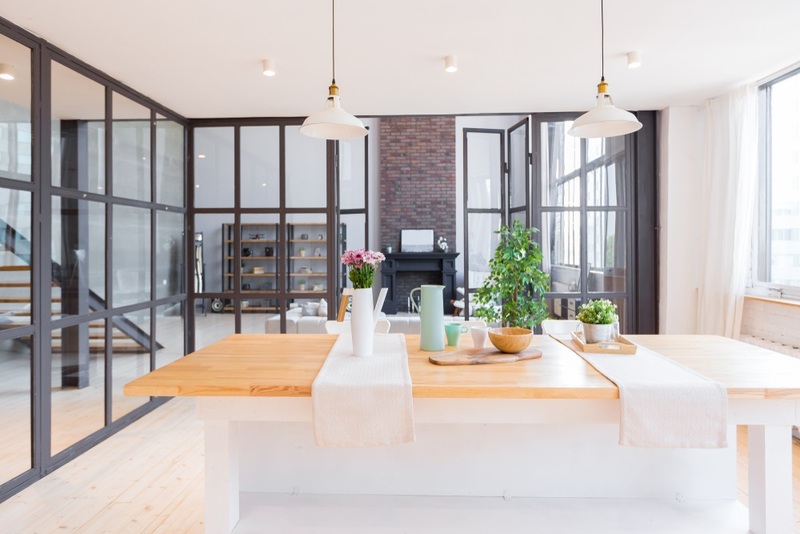 In some cases, an open-plan format isn’t possible. There are homeowners who need to deal with structural walls and posts. But, this shouldn’t keep them from enjoying an open area. In this apartment, the designers replaced a solid kitchen drywall with thinly-framed glass. The design made each area more open to each other just like the homeowner desired. Understand that a room divider is also an entrance. 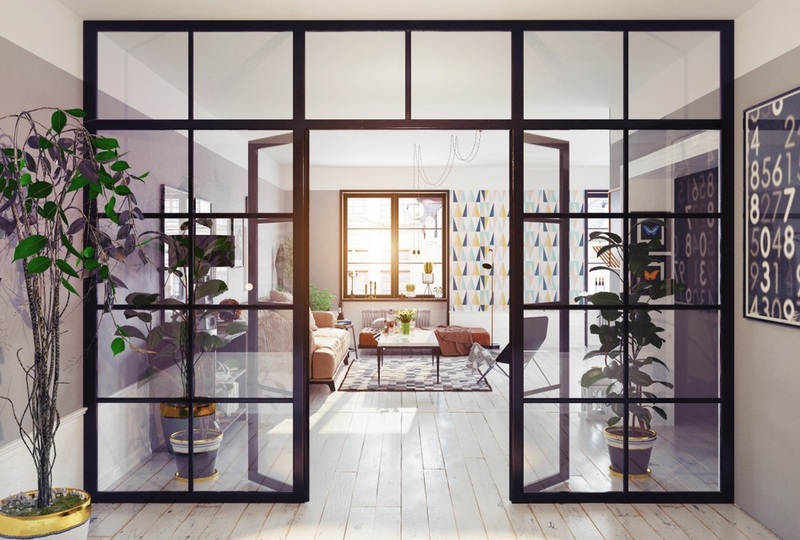 This steel-framed partition, like the ones featured in previous designs, is a great example. The glazed doors and the walls have similar framing, linking them both elegantly with each other. It fits in all interior styles, as long as the room has high ceilings. A doorway/divider like this highlights the room’s ceiling height. An ensuite (master bedroom connected to a bathroom) also looks best with a glass divider. 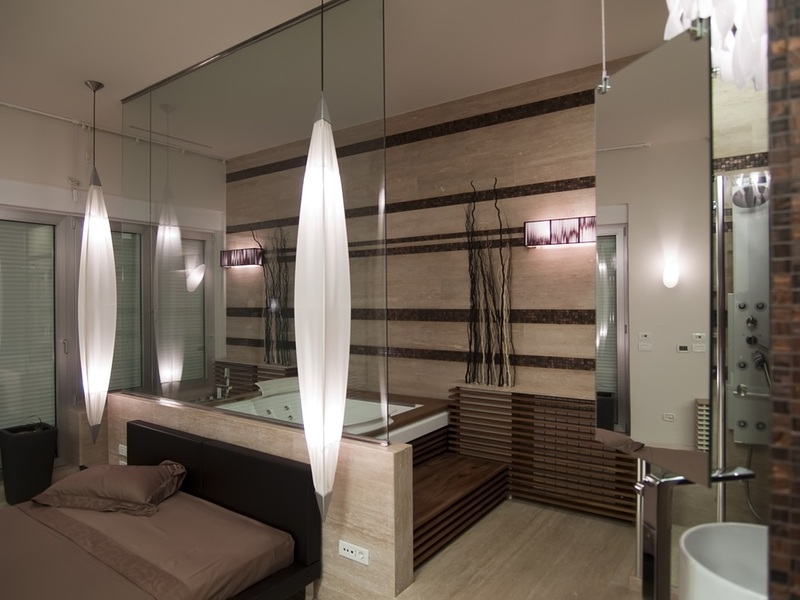 For one, glass walls allow a windowless bathroom to borrow light from the bedroom. It reduces the need for more artificial lighting. Second, the private bathroom feels more connected to the bedroom; the very reason why people build an ensuite at home. Here, the jacuzzi is the star of the ensuite. 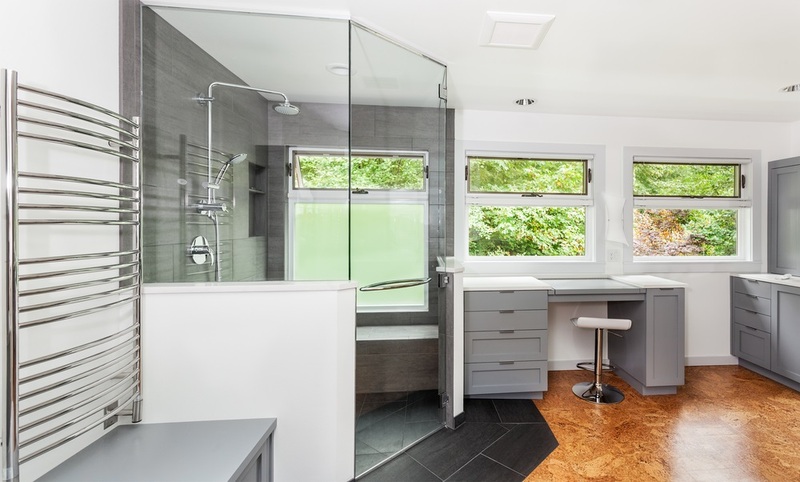 Thanks to the glazed walls and doors, you can see the bathroom interiors. Pony walls play a part in this design too. These enclose the wet area and keep it separated from the bedroom. Waist-high pony walls hide the lower parts of the body as you shower. Extra tip: Before committing to this style, commit to organising your stuff too. Clutter inside the bathroom will ruin the look of the ensuite. If you like your bathroom private, this might not work for you. In this bedroom, the designers’ setup a drywall partition and a sliding glass door to conceal a walk-in dressing room. Since the doors are made from frosted glass, you won’t see the interiors. Consider this idea when you like to keep your bedroom clean and uncluttered. A walk-in closet like this helps when you’re a little messy or when you have a lot of clothes. 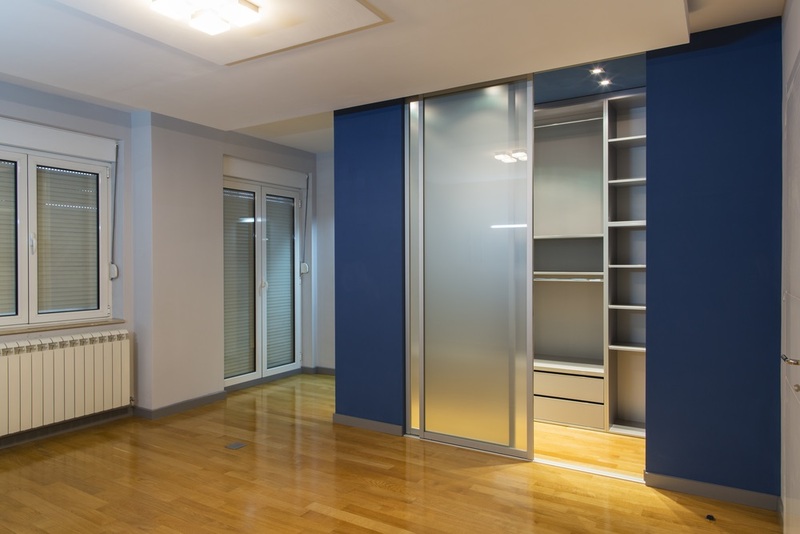 At half or full height, framed or barely visible, a glass partition works in every room. Would you consider dividing your space using glass? Contact a Sydney architect and designer.